This Week in Gaming - Gods, Ninjas, and Jedi! Article: This Week in Gaming - Gods, Ninjas, and Jedi! We review releases from the 14th to the 19th of April. New badges are created for Girl Scouts for video game development, and game developers are sued for using the word "edge." Welcome to another "This week in Gaming" update. We've made some changes so I'll talk a little bit about what this is and how it works. These gaming update articles will be published every weekend and will start with us filling you in with all the games that came out in the previous week. For some of those games we'll have some more details for you, such as the initial reception of the game and what it's about. There will also be game and console announcements, trailers, and then the signature weird news or facts related to gaming. This week is mostly downloadable content (DLC) with only a few full retail releases. ​Probably the biggest game to come out this week. 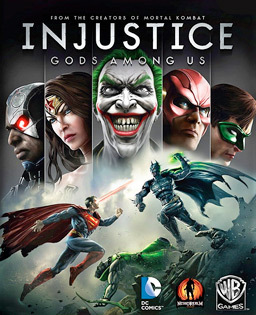 Gods Among Us (Mighty Among Us in the Middle East) is a fighting game featuring the characters from DC comics such as Superman, Batman, The Joker, Wonderwoman, etc. Since there wasn't a whole lot in the way of new games this week, I thought I would add a couple of special games to this list which had already been released in the US. Interestingly, both games have Japanese origins. Released back in February for the US, but only just released on the 19th in Europe (a year since it was released in Japan) and on the 20th in Australia. Available on 3DS. A month after the Boy Scouts introduced a badge for game design the Girl Scouts have introduced one for game development (currently only LA, but it may be implemented worldwide). Some tidbits to fill your bland week with the joy of the unexpected. Tim Lamgdell began suing developers such as EA and Namco 4 years ago for using the word edge in video games (eg. Mirrors Edge) after trademarking it based on games he made in the '80s. Fortunately he has recently had his trademark cancelled and can no longer claim infringement for the use of the word. Why the hell is The Joker the front and center on the Gods Among Us package? Also, I find the game title change for the Middle East edition very interesting. Also, dat SWTOR expansion. Thanks a lot, Deathirst. You made me regret leaving the Boy Scouts. One thing I do not regret. Why the hell is The Joker the front and center on the Gods Among Us package? Also, I find the game title change for the Middle East edition very interesting. Also, dat SWTOR expansion. Great article. > Article: This Week in Gaming - Gods, Ninjas, and Jedi!